The four-day event includes an unparalleled line-up of restaurants and beverage purveyors, world-class chefs, demonstrations, entertainment, and artisan products. The enormous crowd—over 18,000 of Hong Kong’s most sophisticated food and drink connoisseur. Intent on maximizing both vendor opportunity and the visitor experience, event organizers searched for a solution to control payment methods suited to food, service, product, and ticket sales. Multi-shift entry further complicated payment logistics. Moreover, overseas exhibitors were locked in to cash-only transactions and needed a workable, electronic payment option. • Enhance the event experience as well as vendor opportunity. • Accommodate an extremely high number and frequency of transactions. • Manage 120 devices in a small area. 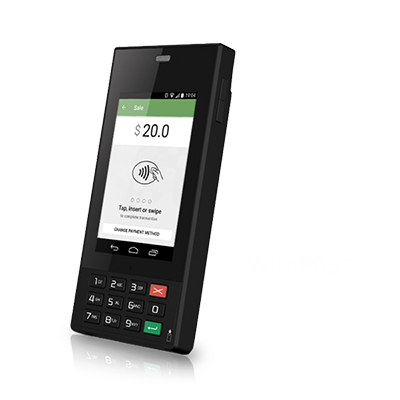 • Provide a complete mPOS solution to accommodate various vendor needs. • Allow overseas merchants to accept credit card transactions. • Collect and provide real-time data to organizers and vendors. • Inexpensive setup of temporary ticketing stations. • Rapid relocation of stations to manage ticketing queues. • Suitable for manned stations or self-serve kiosks. • Streamlined ticketing and vendor processes. • Real-time patron counts and sales data by device/station. • Overseas exhibitors can accept electronic transactions immediately. • Monitoring and analysis using a suite of sophisticated apps.